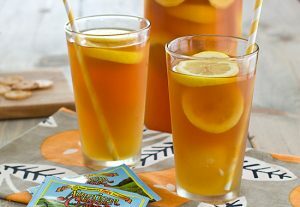 Honey lemon tea is an aromatic herbal drink prepared with lemon juice, sweetened with honey, and often spiced with ginger. Since both honey and lemon are potent sources of health-promoting nutrients, the beverage is regarded as a natural remedy for many diseases and health conditions. Human use of lemon and honey can be traced to thousands of years in the past, as people in ancient Greece, Rome, Egypt, and China used honey for aiding treatment of gut disease and wounds. 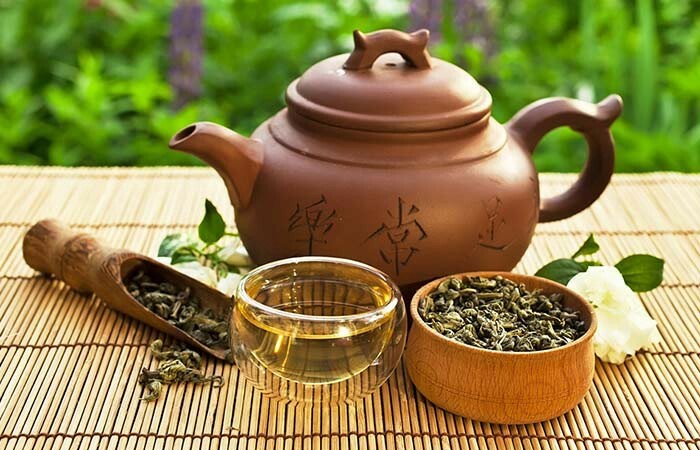 It has been considered beneficial in traditional Chinese and Ayurvedic medicine systems. Throughout history, travelers on long voyages commonly consumed lemons for protecting themselves from scurvy. 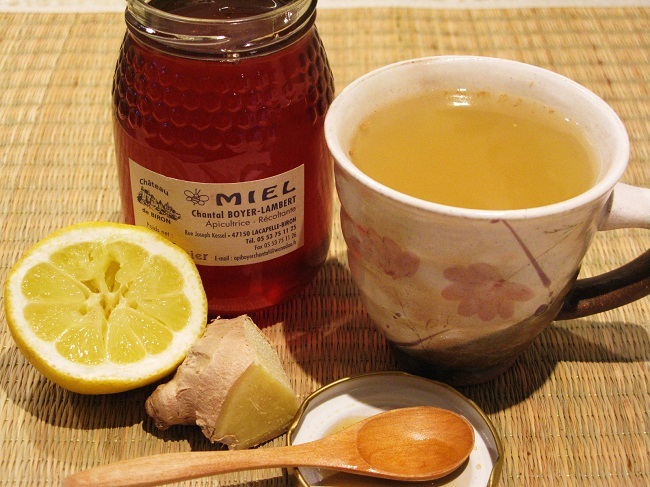 Drinking tea or warm water mixed with honey and lemon helps in soothing a sore throat. The antibacterial properties and hypertonic action of honey assists in drawing water out of the inflamed tissues, thus relieving pain, discomfort, and swelling. 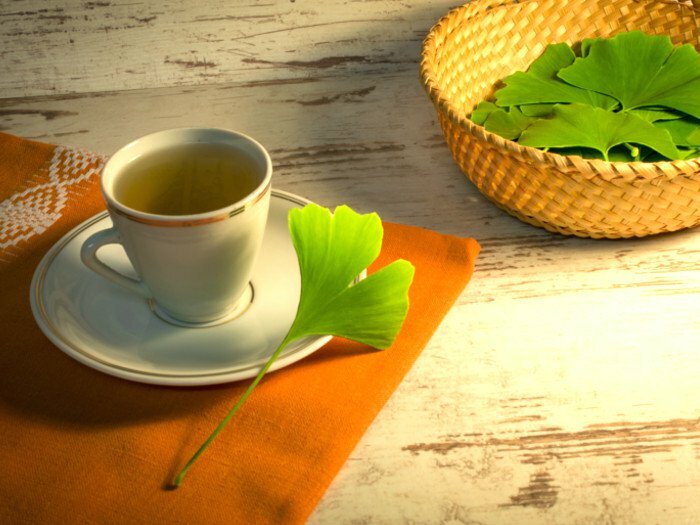 It is also useful for lessening the irritation, soreness, and dryness of throat as well as hoarseness of voice associated with laryngitis. Its consumption is useful for loosening congestion and lessening some of the other symptoms associated with cold and flu. Clinical studies have highlighted that honey can effectively suppress nighttime coughing in children with URTI (upper respiratory tract infections). Moreover, lemon is rich in vitamin C that helps in reducing the duration, severity, and frequency of the symptoms of cold. Moreover, its powerful antioxidants combined with the anti-bacterial properties strengthen your immune system, defending you from illnesses, such as flu and the common cold. Owing to the weight-reducing properties of lemon extracts, regularly having this drink helps control weight. Furthermore, the high levels of dietary fiber pectin present in lemon suppress food cravings, boost metabolic rate, and prevent your body from storing excess fat. Lemon and honey, when taken with warm water, has been shown to improve digestive health. The soluble fiber in lemon not just helps remove toxins from the digestive tract but also lessens symptoms of indigestion including bloating, heartburn, belching, and gas. Aside from the dietary fiber in lemon, the laxative effect of honey stimulates smooth bowel movements, which helps in relieving constipation. 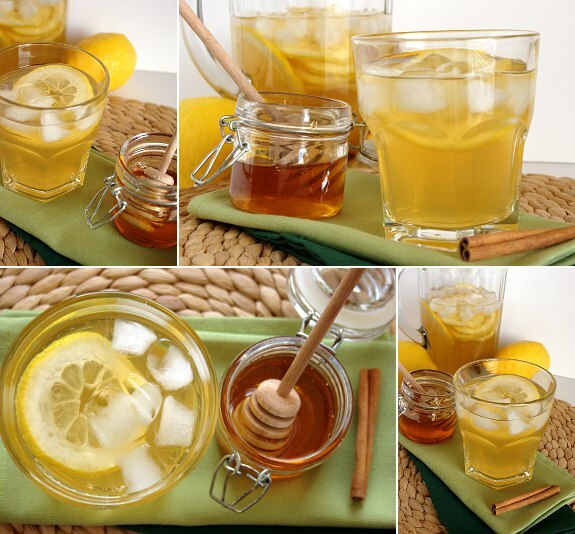 The medicinal properties of both honey and lemon make it a potent natural remedy for upset stomach, duodenal ulcers, gastritis and other disorders accompanied by an increase in acidity of gastric juices. 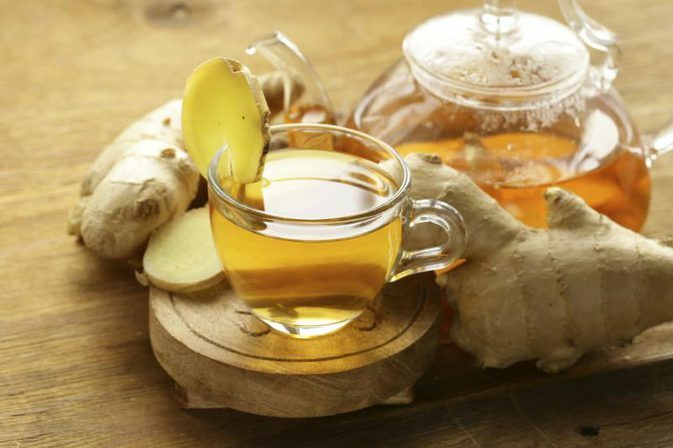 Research studies indicate that citrate, the primary constituent of lemon honey tea, is a natural inhibitor of unwanted toxins in the body. Lemon also has a citrus bioflavonoid, called hesperidin, which stimulates the liver and its ability to flush out toxins from the body. 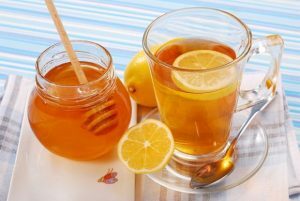 Due to its cleansing properties, lemon honey tea is often consumed after meals to help reduce the amount of toxins accumulated in the body. Observational studies have highlighted that the presence of honey in lemon honey tea aids in alleviating the symptoms in people affected by seasonal allergies. It helps in the treatment for allergies since honey consists of small amounts of the allergen flower pollen, and exposure to traces of allergen might help build up tolerance. It is rich in natural antioxidants and vitamins, which is beneficial for the prevention of damage caused by the effects of free radicals. Its antibacterial and antiseptic effects also protect your skin from acne-causing bacteria. 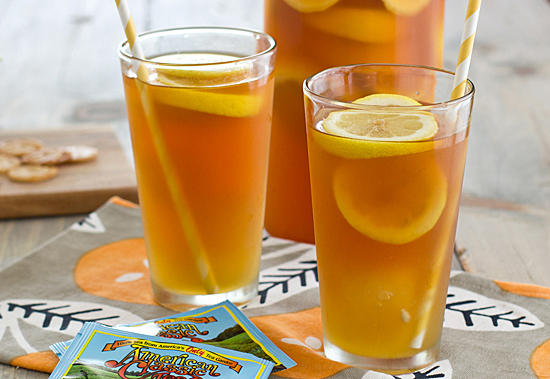 Alternatively, you can refrigerate the mixture and add some ice cubes to enjoy a cup of honey lemon iced tea. 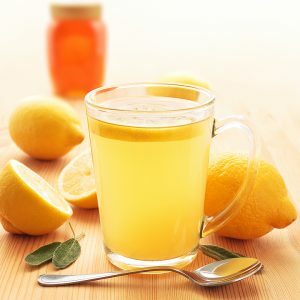 Drinking too much lemon honey tea might cause a few side effects including erosion of tooth enamel and frequent urination. Additionally, honey can cause botulism (food poisoning) in babies less than one year of age. 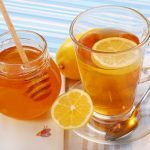 Taking honey lemon tea in moderation is safe for women during pregnancy and breastfeeding provided the honey is pasteurized. While fresh lemons, honey, ginger, and cinnamon sticks can be purchased online as well as from local grocery shops, several herbal tea stores on the internet sell decaffeinated honey lemon tea in tea bags. 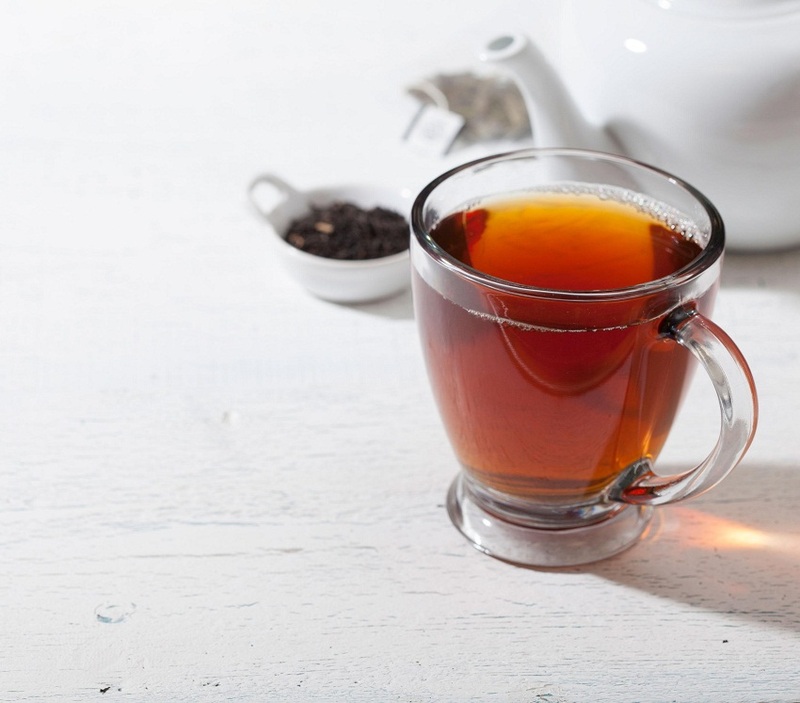 It can also be bought in other forms including green tea and ginseng green tea.